Alice in Wonderland's Alice, standing between the red and whites queens. This is very accurate! 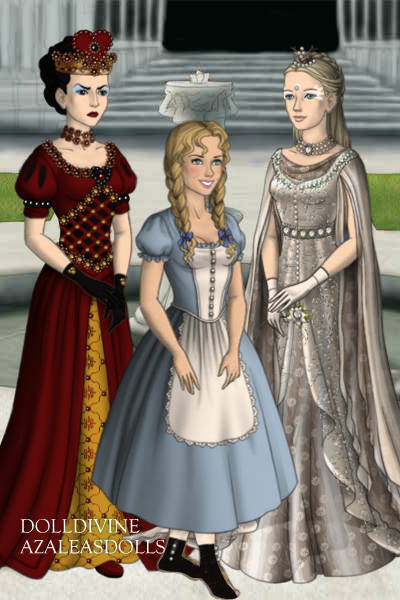 I love how you made each character and the added details to each gown! Each is unique and lovely!! Great job! !